You might be just as surprised as I am to be talking about the world’s largest island since I had no idea GEM was involved there, but here I am talking about Greenland anyway. 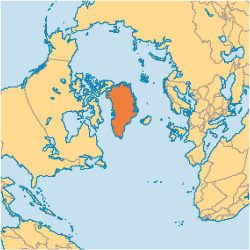 The population of Greenland should tell you a decent amount about the country and it’s living conditions. The largest island in the world (2,175,600 sq km) has only 57,291 people living on it. That puts Greenland at around 2/9 of the size of the US and about 1/5438 of the population. That might tell you that the old tale of how Greenland and Iceland got its name is probably true. The story is that the Vikings name both places to trick people into thinking that Greenland would be a better place to inhabit than their land (Iceland). According to Operation World as of 1984 there were only about 20 born-again Christians. In the last 28 years that number has grown to 2,664. 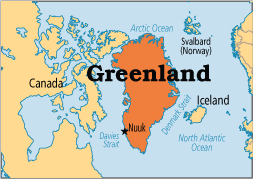 Greenlandic-speaking pastors and youth workers to serve in Greenland. A continued increase in born-again Christians as the last 28 years has seen. A revitalization in the Lutheran churches that are in most settlements in the country and for the members to become witnesses in their communities.